Out of stock till first week of April. 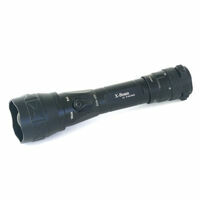 The Ranger RT 6.5x42 is a digital night vision monocular with stealth illuminator, internal recording and wifi. This means your partner can be seeing the same image as you on their smartphone or tablet, or both of you could be under cover while the Ranger RT is out in the elements. It uses a standard tripod mount so could be put on a mini tripod and put under a jacket on a car parcel shelf or mounted on a full size tripod for someone scanning their padocks. There is internal recording for evidentiary purposes on a internal 8gb storage, giving 300 minutes of recording. Photos can also be taken with the Ranger RT Night Vision monocular. Great performance for modest money. 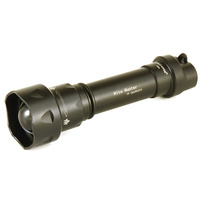 Ranger RT 6.5x42 night vision scope is equipped with integrated LED IR illuminator with 940 nm wavelength. 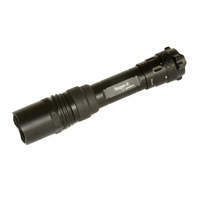 Integrated IR illuminator is practically invisible with the naked eye. It allows a hunter or observer to watch individuals or animals without the risk of alerting or scaring them. 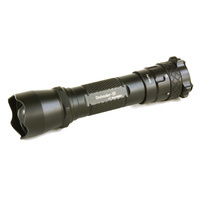 15-stage power adjustment range gives possibility to vary operation distance greatly. The high sensor sensitivity, high magnification combined with a powerful invisible IR Illuminator allows the user to conduct observation at a distance exceeding 300 meters. Basic magnification of Ranger RT is 6.5x. The unit also has a 2x digital zoom. Thanks to the high resolution of electronic components (sensor and micro display) the image quality at the maximum 13x magnification remains high. Digital NV devices can be turned on in the daylight without the fear of being damaged either immediately or in the long term. They cannot be damaged by car headlights or street lights. 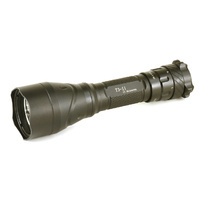 The digital Night Vision Ranger RT 6.5x42 is equipped with a recorder which enables video shooting and image capturing at the time of observation. Video and photo files saved in the internal memory can be transferred to a PC/laptop via wired or Wi-Fi connection. The Ranger RT 6.5x42 is the first digital NV device in the Yukon line supporting the Stream Vision technology. Stream Vision is a fusion of the software and hardware which allows the user to connect the NV monocular with Android/iOS running mobile unit via the Wi-Fi channel to receive image from the monocular in the real time mode, operate the monocular, to update software, to manage the files. Also, Stream Vision provides direct transmission of video image captured by the monocular to Youtube. The Ranger RT is powered with six AA batteries or rechargeable batteries. The unit lasts for 5 to 12 hours depending on operating modes used. Operation time can be significantly prolonged by using high-capacity external power supply units (power banks), which can be attached to the Ranger RT 6.5x42 via a micro USB port. 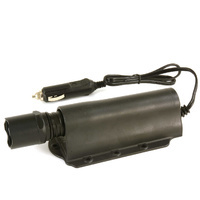 When using at low temperatures, a power supply can be kept in a warm place (under the clothes) to prevent fast discharge. Diopter adjustment -± 5 dptr. Help other wolfeyes.com.au users shop smarter by writing reviews for products you have purchased. LED TORCHES - WHICH TORCH TO CHOOSE? Which THERMAL IMAGING SCOPE or Night Vision? 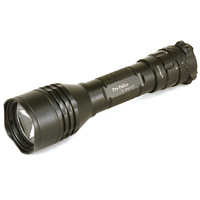 Wolf Eyes Tactical LED Torches specialise in providing Rechargeable LED Torches, Rechargeable LED Headlamps, torch and holsters, remote area lighting and specialist lighting such as forensic LED torches, IR infra red LED torches, Night Vision, Thermal scopes, etc. If you have a specialist requirement in LED torches or lighting please contacts us - we have made specific wavelength LED torches, specific lights & LED torches, unique strobe LED torches, we will even engrave your units name on your LED torches or light! Our clients range from every single Police Force in Australia - including a contract to supply every LED torch to the South Australian Police Force, the Defence Force, various Law Enforcement agencies operating throughout and outside Australia (such as Customs & Border Security), large industrial LED Torch users such as electricity companies, Councils, etc down to individual LED torch users. We also strongly support rural feral pest control and hunting, with unique hunting LED torches and rechargeable LED headlamps built for this purpose. 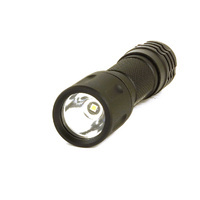 As well as LED Torches, Infra Red LED Torches, UV LED Torches, 940nm or 850nm IR LED Torches, Forensic LED Torches, Hunting LED Torches, Police LED Torches, etc Wolf Eyes also supply the accessories required so you can get the best from your LED flashlight, LED headlamp or LED torches. We design and supply LED torch barrel or scope mounts, LED Torches magnetic mounts, quick release mounts, LED Torches holsters, quick access Blade-Tech holsters, molle vest holsters, LED Torches Picatinny Rail mounts, Quick Release QR picatinny rail mounts, LED Torch picatinny rail switches, LED Torches tapeswitches, pen clips, batteries, high capacity batteries, chargers, LED Torches Traffic Wands - we even have spare LEDs. 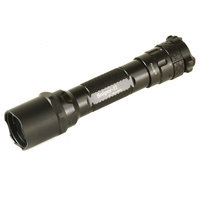 Wolf Eyes Tactical LED Torches are located in Sydney, Australia but service clients in Melbourne, Brisbane, Canberra, Adelaide, Darwin, Perth in fact all over Australia, both urban and rural through our thermal scope, night vision & LED torch online shop and Sydney office. As well as New Zealand (NZ), Papua New Guinea (PNG), and outlying Australian territories such as Christmas Island. We ship flat rate to New Zealand (NZ). 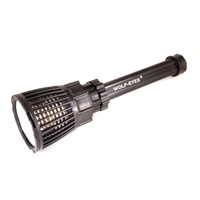 We aim to be your LED torch shop of choice. We also supply Police and Defence personnel in all States and Territories. Please phone or email for your Government Departments Vendor Number.